Titled 'Rare and Beautiful',this card arrives flat and is assembled by the recipient. 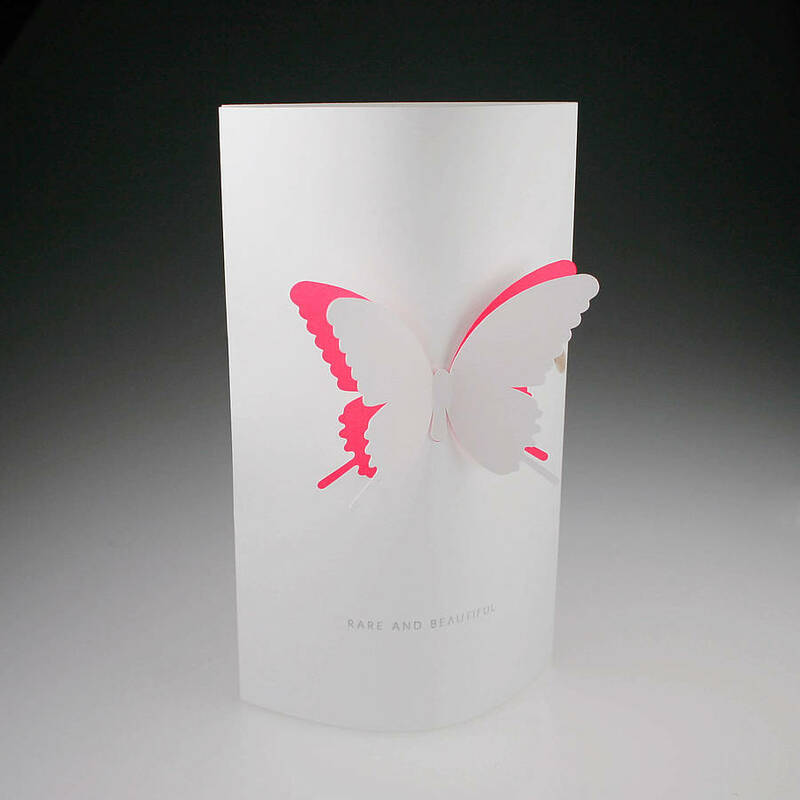 The front face is longer than the back, so you simply tuck the flap into the slot on the back and flip the top and bottom edges of the card into the grooves. This makes the front of the card semi circular, allowing it to stand. You then pinch the wings giving the appearance of a fluttering butterfly. 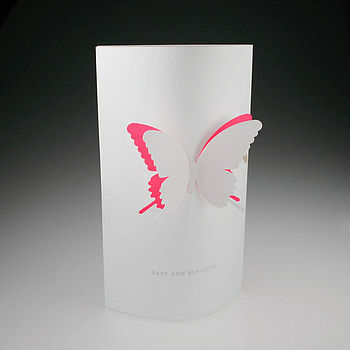 The inside butterfly is made of a colourful translucent paper with the outer butterfly in white. The card is 12.5 x 18cm in size. Rare and Beautiful, just like you. Give as a token of love, anniversary or for someone special in your life.